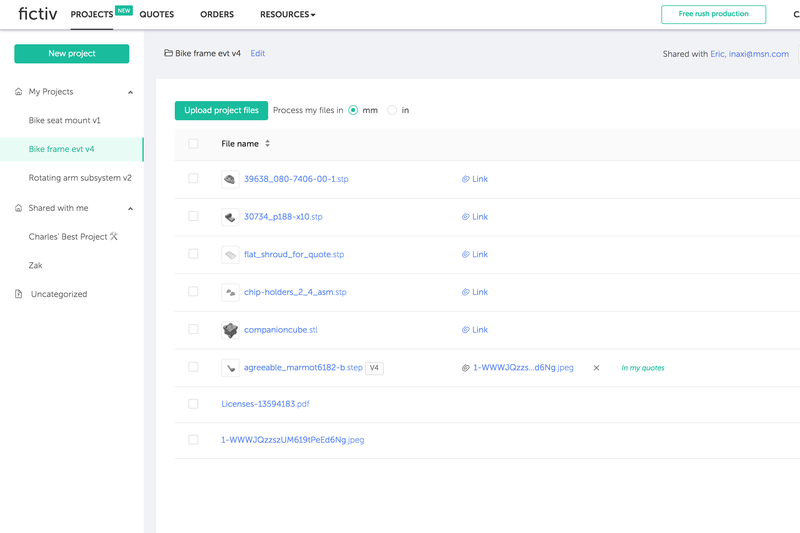 Modern tools to help you save time, work smart, and impress your boss. 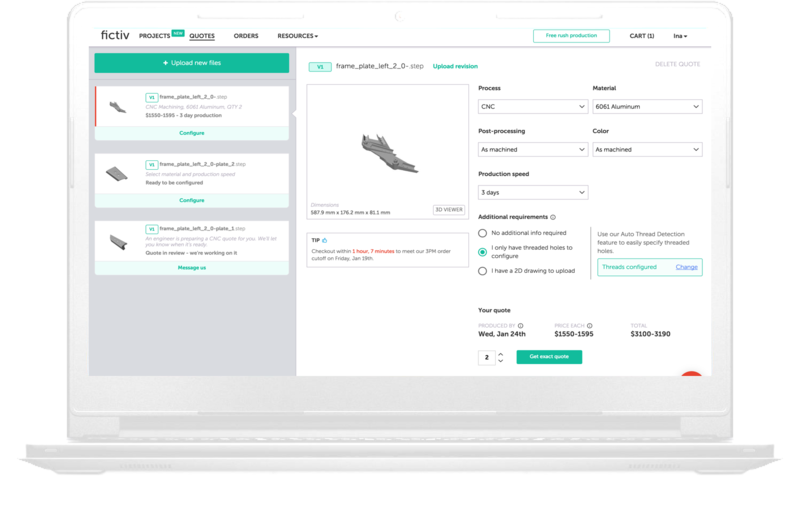 Save time with our streamlined quote-to-order platform. 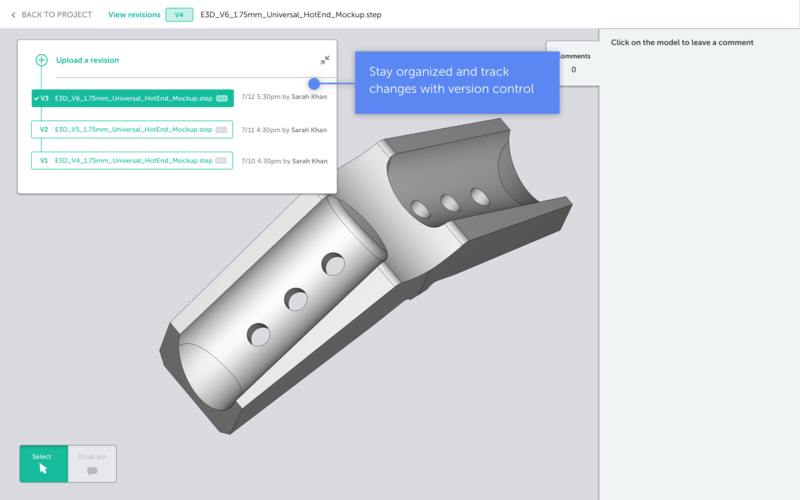 Simply drag-and-drop your native CAD files to the Fictiv platform. We also accept 2D drawings attachments for CNC machining. 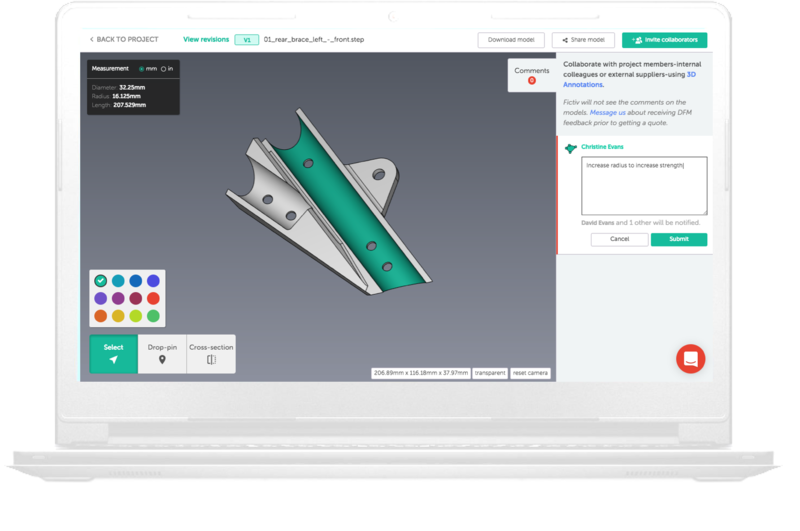 3D models process in minutes, providing instant pricing feedback so you can quickly compare costs, make faster decisions, and keep your projects on track. Only have threaded holes to call out? 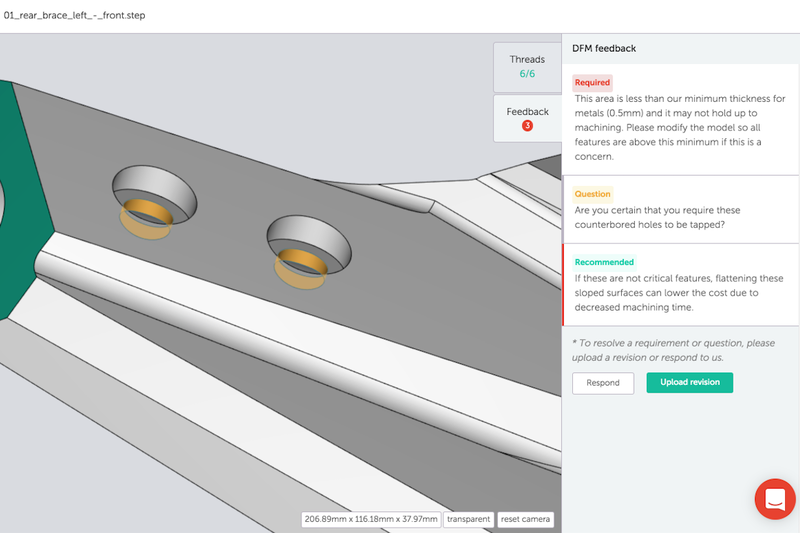 Skip the drawing and quickly specify holes using our Auto Thread Detection feature. 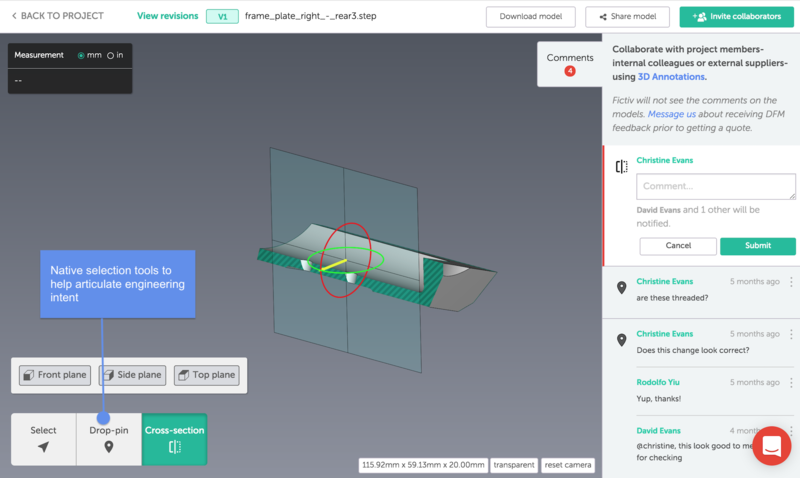 Review manufacturing recommendations, questions, and requirements in our cloud-based 3D viewer and respond or upload revisions on the spot. 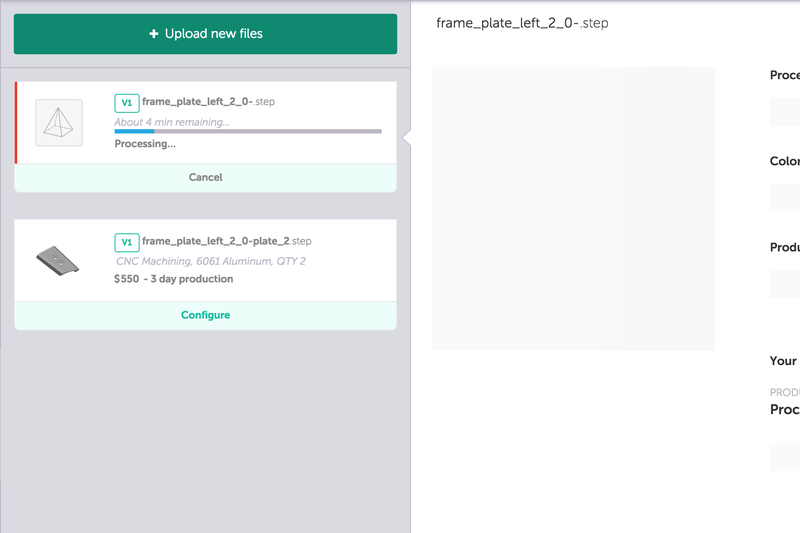 Securely share models, discuss designs, and track decisions. 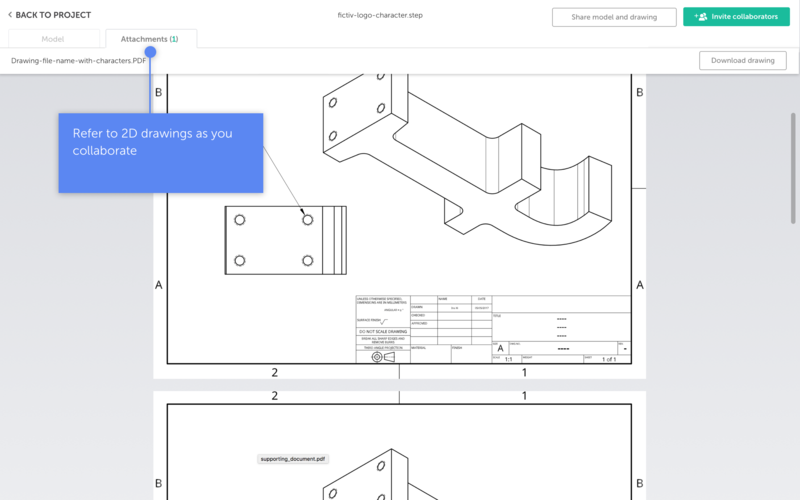 Easily share your 3D models with any supplier, viewable in our browser-based 3D viewer. 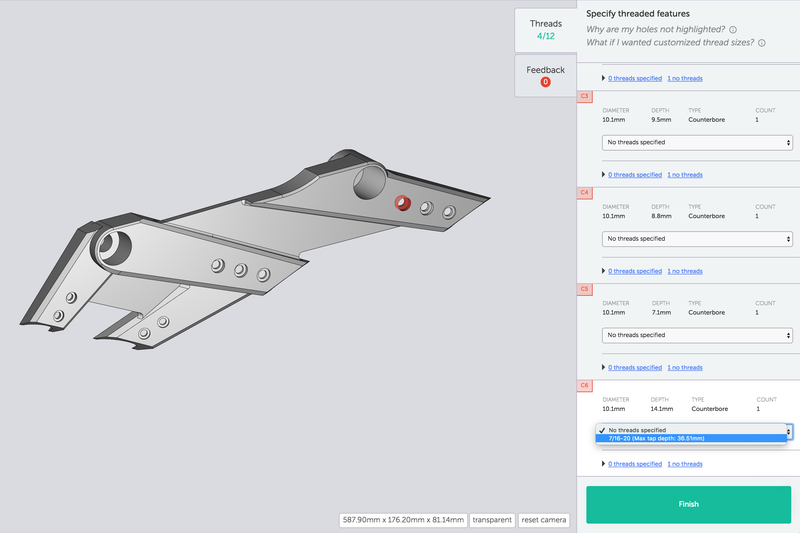 No need to worry about CAD compatibility.